I’M IN TO HIRE is purposed to promote the business benefits for hiring people living with intellectual and developmental disabilities* (IDD) and motivate employers across the globe to create a more inclusive workplace. Companies hire people with IDD for business reasons and are rewarded with business benefits. Multiple dividends are cited, including the addition of highly motivated employees, demonstration of an inclusive and diverse culture that’s attractive to critical talent pools, and improvement in customer satisfaction. The profile of a worker with IDD reads like that of an ideal employee. Employees with IDD are often described as dependable, engaged, motivated and highly productive. Positive reactions from employers abound. Employers report a positive experience, with preconceived challenges being greater than what they actually experienced, while support resources for a successful placement — like job profile matching and guided onboarding — are readily available. Analysis of the data also revealed that success related to hiring workers with IDD is reflective of the level of commitment an organization has to diversity and inclusion (D&I). Integrating D&I as part of the overall organizational strategy as opposed to addressing it as part of a compliance initiative, a general corporate social responsibility strategy — or simply not addressing it at all — is a critical first step, and one that also has a positive connection to market performance. 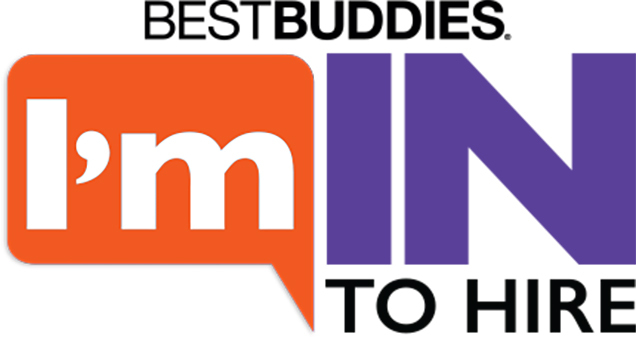 With the support of Best Buddies International and i4cp, along with business champions such as Carlos Slim, government officials, and advocates like you, I’M IN TO HIRE is committed to sharing this compelling research in an effort to advocate for a more inclusive workforce.